The caring veterinarians at Lewis Animal Hospital understand that the needs of your beloved pet, and how they will change as they begin to age. Our experienced doctors have designed a protocol for each phase of the life of your pet, and can implement a plan regardless of the current age of your family pet. Our mission is to provide the highest quality medical and surgical care to our patients. We strive to exceed our clients’ expectations by treating owners and their pets with respect, honest, and compassion; treating all animals as if they were our own. Our services are provided in a clean, safe, and friendly environment. Our goals are to work as a team, complementing each other’s talents and retaining a positive attitude. We believe that maximum wellness is achieved through client education and regular preventative health care including physical examinations, wellness lab work and systematic dental care. Diets and vaccinations are tailored to individual pet health requirements and lifestyle. Clients are encouraged to maximize their pets’ potential for a long and healthy life. They are supported in their quest to improve the health of their pets, and the lives they share together. We support our clients by listening to their concerns, adapting health care to the needs of their particular situation, and providing education that is specific to their pet and their family. Our practice philosophy…is simple. We will provide our clients and patients with the best possible service and care in a professional manner. We will uphold our strict standards of medical and client service, while maintaining competitive prices. We will uphold all legal and ethical aspects of the field of veterinary medicine. We value our client’s opinions and concerns, always. We value our client’s trust and satisfaction with our services, always. We value our client’s dedication to helping and healing their friends, always. We value our employee’s hard work. We value our responsibility to provide a safe environment. We value the patient and their needs. 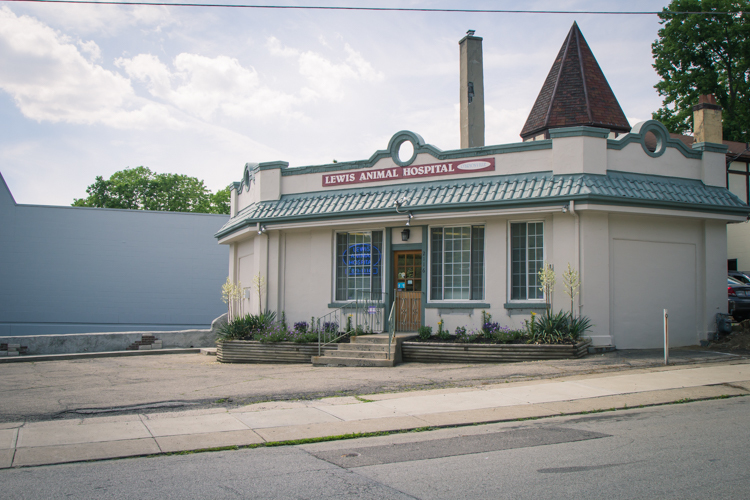 Lewis Animal Hospital was established in 1914 by Gaylord T. Lewis (Dr. Tim Lewis’ grandfather). The original practice location was at 7121 Paddock Road in Carthage. Dr. Gaylord C. Lewis (Dr. Tim’s dad) graduated from the Ohio State University College of Veterinary Medicine in 1940. He then joined his father’s practice, and eventually became a partner. 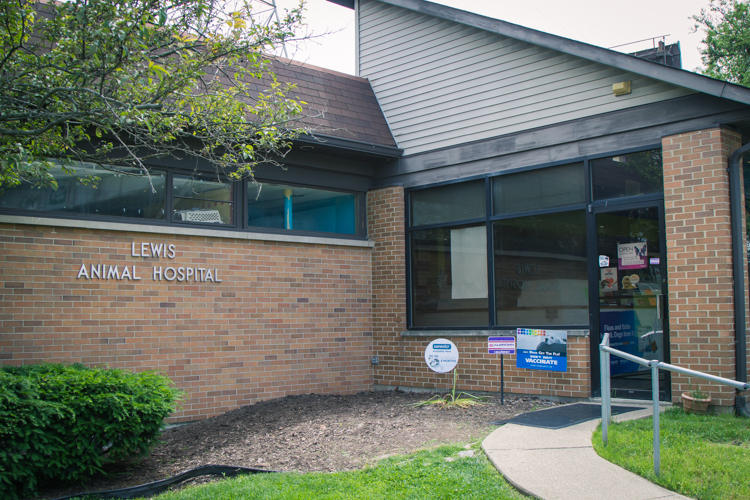 Dr. Tim Lewis graduated from the Ohio State University College of Veterinary Medicine in 1974. He then joined the practice and ran it until his retirement in 2010. Dr. Les Polasky worked for Dr. Lewis for 5 years (1979-1984) prior to attending vet school. He graduated from the Ohio State University in 1988. The then joined the practice in 1990 and eventually became a partner. Upon Dr. Lewis’s retirement he became the sole owner of the practice. Dr. Larry Keller graduated from Auburn University in 2004 and joined the practice in 2006. Dr. Heather Keller graduated from Auburn University in 2001 and joined her husband at the practice in January of 2016.